Ideal for Weddings, corporate events, private parties and trade shows Kevin can perform close-up and personal or a comedy cabaret to make your event the most memorable ever ! 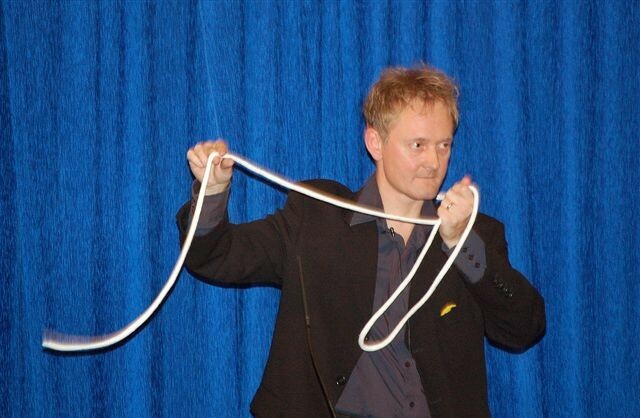 With over 20 years’ performing experience and a background in sales Kevin instantly sets your guests at ease with his charming and tongue-in-cheek style of magic. Kevin’s magic helps to break the ice, bring your guests together and get them talking, laughing and making new friends. Experience the magic happen in your own hands and in close-up in front of your very eyes. Experience the impossible with Kevin Cann !